There are many ways to improve existing floor and wall partitions to pass the precompletion sound testing for Building Regulations Part E, some can be as simple as installing silent closure mechanisms on kitchen cupboards and bedroom wardrobes. If sockets are installed back to back in separating walls may also lead to complaints about noise arising when plugs are inserted and switches are activated as the wall will be weakened in this area. The use of an additional sacrificial wall lining can reduce such noise complaints. If aerial points are installed away from the dividing wall partition and onto adjacent internal walls, it will encourage people to place televisions and other entertainment systems away from the acoustic partition and onto internal partitions reducing it reduces the chance of noise complaints. With the vast amount equipment and appliances used in today’s kitchens and utility rooms, it is often a cause of noise complaints due to the large amount of noise sources such as washing machines, dishwashers etc. Wherever possible, sockets for washing machines, dishwashers and fan extract ducts should be located away from the separating wall, and onto an internal/external wall. If it’s not possible to locate the main kitchen appliance wall away from ‘quiet rooms’ such as bedrooms and studies, the separating wall should be designed to provide higher levels of sound insulation via extra wall linings and insulation etc. Plant rooms and lifts can also generate high levels of noise. If the lift has a track system the tracks should be fixed away from the separating wall from adjoining dwellings and extra acoustic upgrades used on the wall adjacent to the lift well such as an extra lining around the masonry lift shaft. It is also important to carefully consider floor surface finishes. Hard floor finishes such as wood laminates, tiles and floorboards can significantly increase the level of footstep noise (Impact) in the dwelling below, if a floor finish is to be used it is essential that it is isolated from the main structure via an acoustic membrane etc. Taking into the above items into account it is essential that careful design considerations are shown to the acoustic design element of all new developments from a pair of semi-detached houses to large residential apartment blocks. 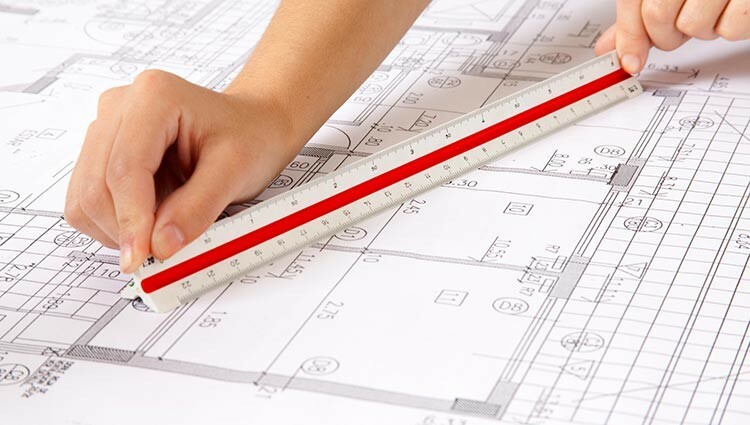 It is also important to carry out onsite construction checks during the construction phase of new and conversion developments to ensure that the construction details are being installed as designed. If the project fails the precompletion sound testing, it can also delay the building handover and lead to expensive remedial works. By undertaking careful acoustic design from the initial design stage through to completion it greatly reduces the risk of sound test failure. Our team of experienced sound test engineers are dedicated to giving our customers the best quality design advice to help clients achieve compliance with Approved Document E. We can also undertake ‘in house’ UKAS accredited sound testing in one seamless package, lowering costs and negating coordination issues. If you would like more information in regards our acoustic design service or sound testing service sound testing, please contact us at info@aptsoundtesting.co.uk or call Darren Direct on 07775623464.